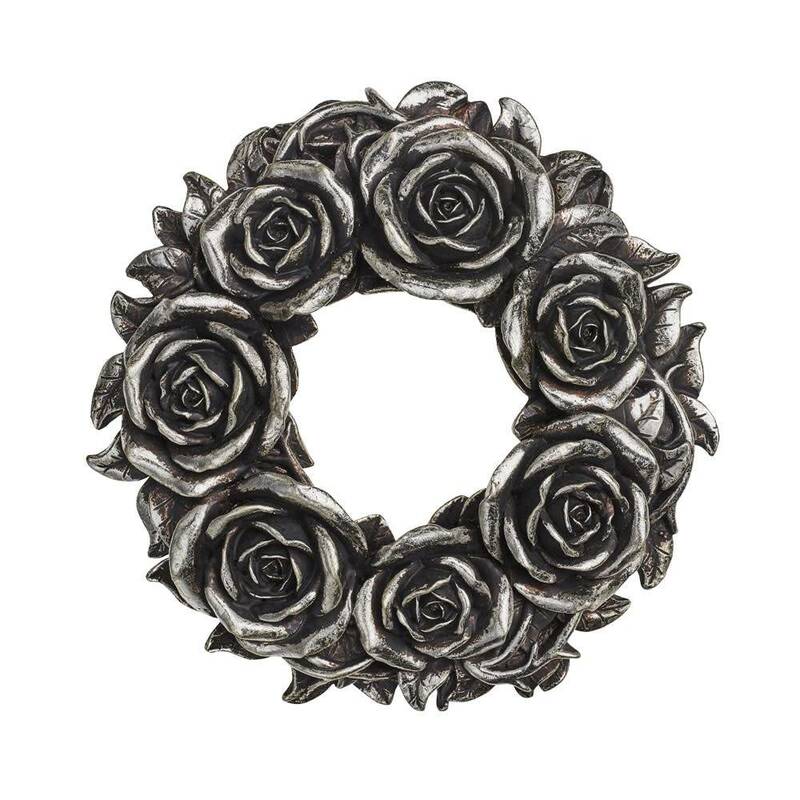 A devotional wreath for an inexplicably dark and mysterious love. 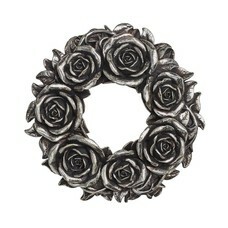 Silver painted and darkened cast resin floral objet d' art. Can be hung on the wall with a small built in nail hole, or used as a candle wreath. 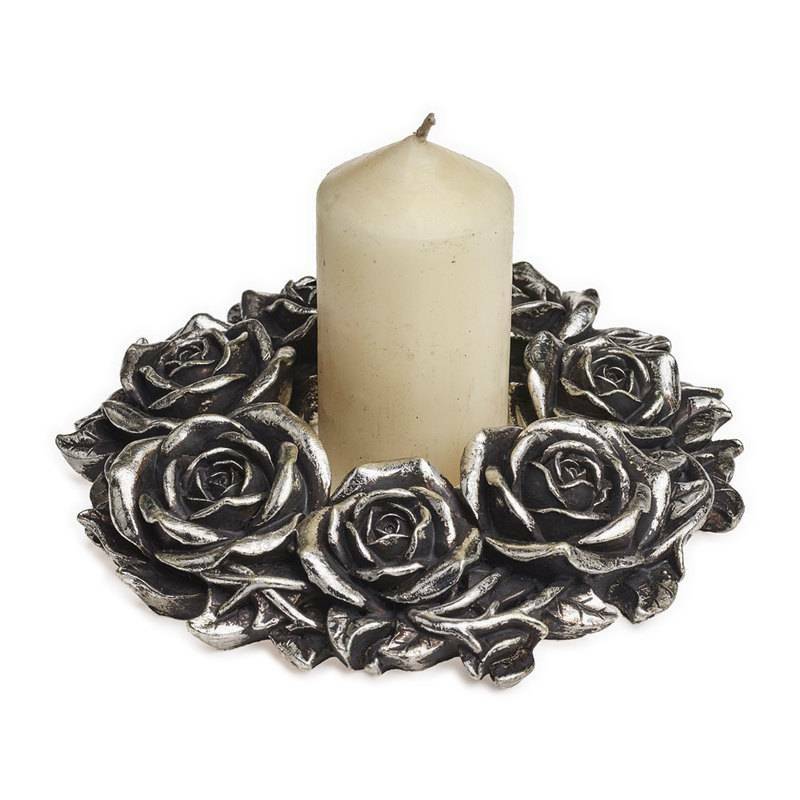 Approximate Dimensions: Width 7.09" x Height 7.09" x Depth 1.57"